Hello to all YOU beautiful creation of God, Happy Easter! How was your vacation? I bet you spend it with your family and friends at home; could be by the beach; on a road trip or at the church perhaps doing the "Visita Iglesia". I remember when I was a child, Lent season means church activity. We don't go for a vacation and each year, I look forward for this event and during Holy Week, mom and I spent our time attending masses, did the Way of the Cross, listen to the Seven Last Words of Jesus, and more church activities. My mom is very religious so; she would wake us up at 3 AM, prepared coffee and pandesal (rolls) before we head to church for 4AM Easter mass. I always have a simple, peaceful, and happy recollection of Easter Sunday with my family back home. This year, I spent the Lent Season at church as well, with my husband. On Holy Week, hubby and I attended the mass, went to the Penance Service, and on Holy Thursday, we attended the Mass of the Lord's Supper. We also went and participated the Stations of the Cross and Passion of Christ on Good Friday. For Holy Saturday, we attended the Easter Vigil Mass and Blessing of Fire which was really a solemn event. The photo above was taken after we attended the 6AM Easter Sunday Mass. Taken along the Indian River, the sunrise above was so beautiful and I couldn't resist not to take a snap of photos. Such a nice reflection of a new day, new beginning and a new life for Easter .... as a Christian. May the light of GOD, shine upon us all, always. Real estate short sale properties can be both good and bad. If you check it in your area, you will find that there are thousands of them listed so; there's never been a better time to find a sweet deal than to own a short sale property at this time. To avoid foreclosures, homeowners prefer to list their property in short sale on which the amount is usually less than the balance that they owed in the mortgage. By doing this, the homeowners made an arrangement with the bank and when the bank agrees with the price, the buyer can really get a sweet deal out of this. One property that we bought was listed as a short sale and since the amount was low and the property was really in good shape, we were praying to get it without a problem. The seller accepted our offer but, we have to wait for the bank's approval. The bank returned with a negative news telling the seller to raise the price. Most of the short sale properties are great but, when the bank or the lender intervenes, the process could take longer that is why; when you have problems regarding your mortgage, you need to hire a lawyer such as the las vegas bankruptcy attorney. They will be there to back you up. As a buyer, short sale is good property to have at great discount. When the seller came back to us and requested 2K higher as demanded by the bank, we took it. Buying a short sale property can be a hassle and stressful. Do not be so convenient and rely on the price listed on the short sale property. Since it is listed at a bargain price, buyers could be multiple and could bid higher. Therefore, when they requested for 2K more, we took it because the property was worth more and we like the location, the property and it was immaculate. We were lucky that the processing was fast since we paid it in cash and extra paperwork was diminished. This means to say that when you buy a short sale property, there will be more paperwork to process, the wait is longer and in most cases, it could really take months. When you find a short sale property that you really like, be generous with your bid. When the seller accepts your bid and you did not hear from his lender or bank, you can always extend the contract and wait longer or just let go and find another property. It is really up to you. This is a sponsored post. All opinions and views are based on my experience and completely my own. How are you folks? Did you miss me for few days? I miss you too (wink). 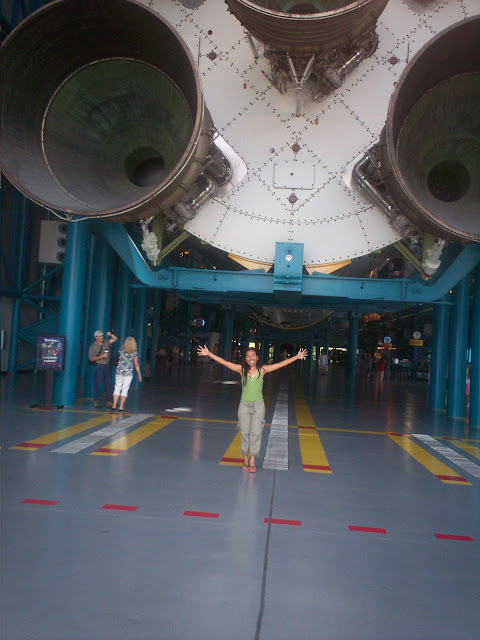 Today, I am so excited to share about my latest "wandering" inside the Kennedy Space Center. As few of you knew, we live close to NASA's KSC and it's about 15 to 20 minutes away and since we have a Commander's Pass this year, we can go in and out anytime of the day in any day of the year. Right where I am is the home of Atlantis and the building behind me is the $100 million Atlantis facility. The facility is under construction and expected to open on June 29. I hope I can visit that day and for sure, it will be an exciting event! Check out my post during the Final Launch of Atlantis. At present,the Atlantis has been wrapped in order to preserve the orbiter's natural state when it landed back to Earth during its last journey. The Atlantis Facility is 90,000 square foot and I am sure, it will become a popular attraction in Kennedy Space Center just like the Apollo/Saturn V Center which is my favorite attraction in KSC (see above photo). If you are having a vacation in Disney, Sea World or Universal Studios, KSC is just an hour drive from Orlando so; you should come visit KSC to experience and explore Atlantis up close and with the numerous simulators and hands-on interactive experiences I am sure, it will be an awesome trip for you and your family. The Atlantis home is a six-story facility and located right at the Shuttle Plaza in fact, it is on the right side when you turn right heading to the parking area. I am really excited to explore this building because according to their Website, "the guests will walk underneath the full-size replica space shuttle external tank flanked by two solid rocket boosters" at the entrance to the Atlantis exhibit. I can only imagine right now! Anyway,they also said that the outer layer of the building has orange and gold “wings” which represent the space shuttle’s reentry to Earth. I really am excited and as always, I will take some photos for you to see what's inside of the home of the Atlantis in Kennedy Space Center. Thanks for stopping by. On my next post: the Astronaut Memorial and I hope you check out my blog again. Have a blessed Holy Week! In our household, the appliances are considered as essential for without them, chores would be time-consuming and overwhelming. Cooking, doing the dishes and the laundries are easy and fast to do with the help of the appliances. When appliance quit working, buying a new appliance is not the best option. To save money, just hire a reliable repair company. If you have a Maytag washer and it quit working, a maytag washer repair man has the skills to fix it. If the appliance is broken, do not just let it sit in the corner. You need to hire a local repair man right away. Yesterday, we went to Kennedy Space Center about 3:40 PM to watch the launch of Atlas V Ι SBIRS GEO 2 which was scheduled at 5:21 PM. It was our first time to watch the launch inside Kennedy Space Center because usually when there are scheduled launch, hubby and I watch it at the US 1 in Port St John by the Indian River or go to Cocoa for a closer location. I snipped the photo below from the video that I personally took. The Atlas V rocket was launched at the Launch Complex 41 at Cape Canaveral Air Force Station. I was using an X36.0 zoom from my Samsung WB150F digi cam taken at the back area of Apollo Saturn V Center. The United Launch Alliance Atlas V rocket or AV-037 launch is important carrying the U.S. military's second Space Based Infrared System Geosynchronous satellite, or SBIRS GEO 2, for missile early-warning detection. The photo above was taken before the launch at the back of the Apollo Saturn V area. Tourists and locals were excited to watch the launch of the Atlas V Rocket. The bleachers are full so; some guests occupied the areas beside the bleachers. The viewing bleachers are full when we arrived at 5:00 PM. The launch was spectacular and on time. It only took 80 seconds viewing as what the announcer said. The next launch to watch will be on May 15 at 5:39 - 5:58 PM at SLC-41, Cape Canaveral Air Force Station in Florida. The mission of United Launch Alliance Atlas V rocket is to deploy the Air Force's fourth Block 2F navigation satellite for the Global Positioning System. When children are out of school for the summer, it is either you parents plan for some activities for the kids as well as supervise them or, sign up your children for a summer camp. What would you choose? When you are busy at work, I am sure that you will prefer to hire a service that provides wide varieties of specialized activities for them. Depending on the inclination of your children, it could be sports, music, theater, and more, you can actually find a provider/advisor that can accommodate them for a fun and exciting summer camp programs for teensas well as elementary graders. Most teenagers are bored to stay at home when class is over. They needed something to do so; if your children love the outdoors, sign them up to an exciting travel and tours program. Have them experience the safe adventure that they most wanted to do. They can learn from experience and programs are usually design to promote their knowledge of the culture of the community. Travelling and doing outdoor activities are thrilling for teenagers so; at early years of their life, give them the freedom to explore and experience to travel new places. Check out for summer camp programs now and for sure, your children will be delighted to attend. If women love designer shoes and trendy dresses, men share their passion for name brand shoes too as well as high quality watches such as the Rolex. I grow up with more men in the family and I can attest that they prefer quality than quantity. I have vivid recollection of my brother who prefers to have single designer jeans than having more of the low quality jeans in the closet. Collectible accessories such as the luxury watches are great investment so; when the men of your life choose expensive jewelries and accessories, let him have it. As long as he can afford it, let him flaunt it. Garage should be functional and organized. If you are using your garage as a dumping zone, start today by de-cluttering the area. Hubby went to the garage yesterday to re-arrange the tools. He did a pretty good job when he patiently put the fasteners and hardware into the respective containers. He finally found the spring clamp that he's been looking for almost two weeks now. Isn't it funny that when you needed it the most, you cannot find what you are looking for? It is even harder to get the job done without it. Anyway, when I checked the garage today, every tool is in its proper place. How about you? Spring is almost here and I am just as excited as you are to see all the blooms in the garden and most of all, enjoy the weather too. My husband harvested these tomatoes this morning. Out of six, this is the only tomato plant that survives from the scorching heat last season. Anytime this week, I will be planting some okra and tomatoes so; as of this time, I already check my garden and started cleaning up. I have few jalapenos but, I am not planning to plant more because we do not use jalapeno that much. I have at least 5 jalapenos and so far, it grows alright. Not the healthiest jalapeno but, so far, it still growing and bearing jalapeno for our table. I just planted tulips and iris so; I will not be seeing their blooms anytime soon. The tree at the front of our house started showing some green leaves after months of dormancy from cold season. So far, hubby and I are excited for Springtime and for sure, we will be spending time in our garden and the gazebo. How about you? What plants do you have in your garden? When the quality of the product that I bought was compromised, I always remind myself with this, “you get what you paid for”. While most of the time this statement is true, it doesn’t mean that when the product is expensive, it is in good quality since there are instances that name brand product has material flaws as well. 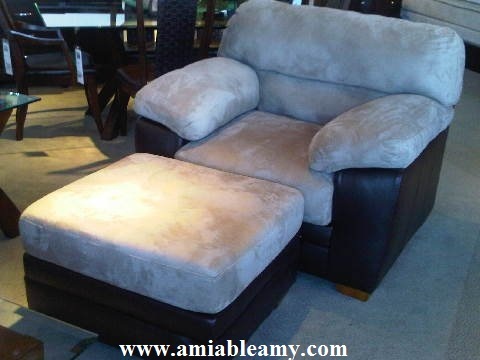 What is impressive is that moment when I find good quality products at affordable prices. I was lucky and of course excited when I received the FREE products sent by 10dollarmall.com amounting $65. It was delivered on schedule and I only paid $14 in excess from the gift code that they gave me. I received the big box in good condition and when I checked each of the products, I was totally impressed with the quality. I ordered 4 pairs of Shoes and all fits well. I heard that their sizes are a bit bigger so; I ordered size 5 instead of 6. I really love the shoes and I recommend that you should check this Website today. The styles of their shoes are trendy and if you love high heels footwear, they have 3 to 5 inches. If you are looking for Dresses and Clothes, you should check out their selections first before heading to other Website or to the mall. I ordered one formal dress and my goodness; where else can you find a good fabric and well-tailored-dress for less than $10? 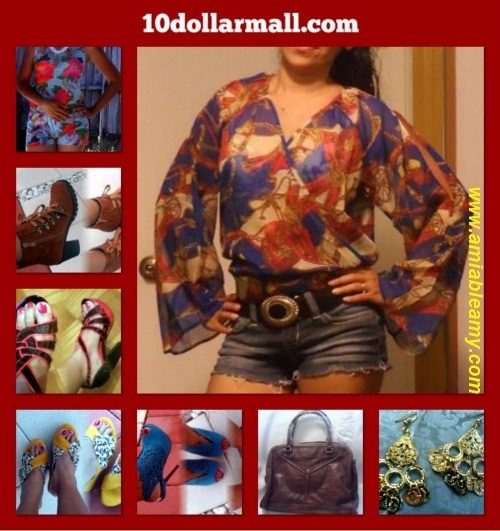 Just visit10dollarmall now for they offer affordable apparel in excellent quality and the price is just right on the budget. You don't need to spend a fortune to dress-up. I like the fabric, the fitting and the great detail of this Pistachio halter dress with green rhinestone pendant and sash. Check out the style with the shawl, the back, with the sash front and back. The fitting and the length are just perfect. As a matter of fact; I will be buying another dress for my niece' for her senior prom and she already picked her style. You can always find excellent quality products if you know where to look. Visit 10dollarmall.com for more details. 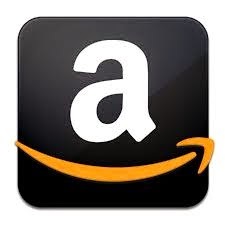 I received the products mentioned above for FREE sent by 10dollarmall. Regardless, I only recommend products that I wear personally. I am not compensated for this post and all opinions and views are based from my experience and my own. I was browsing my photo folders in my PC a while ago and saw this photo. I lost this necklace last Sunday and was truly sad because it's been my favorite for months. We were having grocery at BJ's and I didn't notice that it was gone until we reached home. I pray that a Christian would find it and will like to wear it. As of now, I was trying to look for another cross necklace. I really feel bad to have lost this but, maybe it was meant to be found by someone. In our living room, the chair and the ottoman is my favorite area to lounge and watch TV. It is big enough for me in fact; I can curl comfortably in this chair and take a nap. 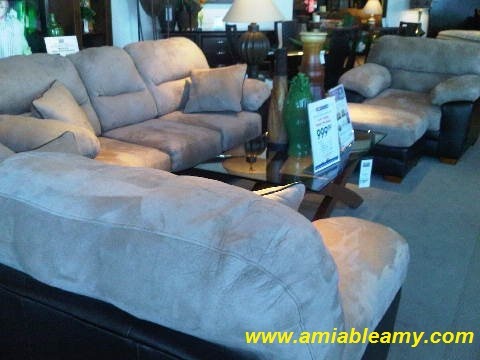 When we were looking for a casual, comfortable and contemporary style living room set, we picked the Hollis livingroom. 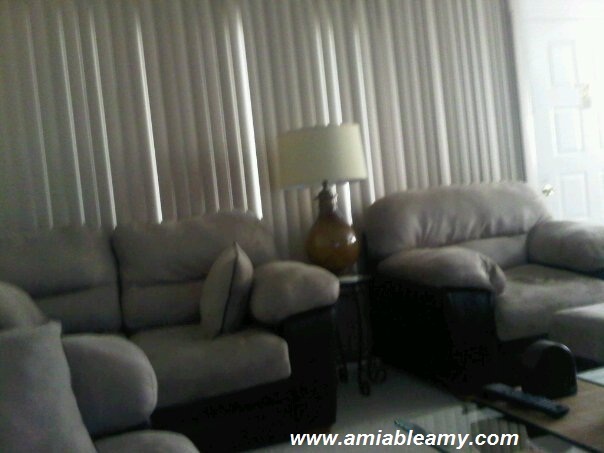 The photo below was taken in the livingroom in our condo. We bought the 7 pieces livingroom set which includes the 50" TV set. We have this for almost three years now and looks like new. The set is very durable combined with exceptional wearability and stain resistance. This loveseat is really comfortable to sit on. 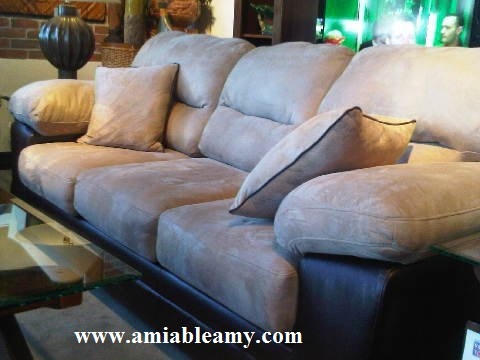 Each piece features an appealing two tone look in mocha color and made of suede-soft Microfiber plush seating on a dark brown faux leather base. I can actually sleep comfortably in this sleeper sofa. 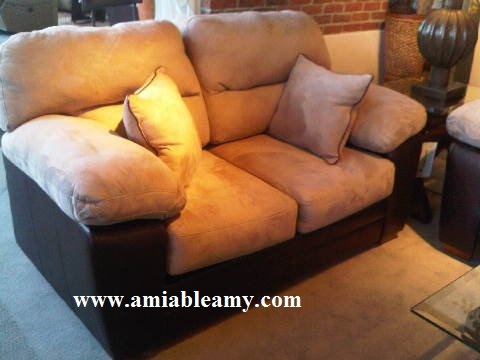 I took the photo below in the display area of the store before we bought this livingroom set. Right now, in the new home, the whole set occupies the whole living room. It is oversized but, looks perfect. Honestly, when I close my eyes right now and think about my childhood, I remember the summertime I spent with my aunt granny, the younger sister of my real grandma. I really love spending my summer vacation with her because I enjoyed her company and adores her country house. It’s not big but, very tidy. She loves perdomo cigars and most of the time, when she can't finish a stick; she left half of it on the window sill. Her bedroom smells like cigars and for me at that time, that smell is perfume. The ship is called Carnival Imagination and I took this picture while I was on board the NCL's Norwegian Sky. It was my first cruising adventure with hubby and his daughter with the boyfriend. I had a wonderful time well, we all are. Hubby and I wanted to cruise to Bahamas again soon. Last Friday, hubby and I went out for a late dinner along Cape Canaveral. There is a restaurant that has a piano bar with a classy dining area. While we dine, the music fills the air. It was a great night with a tropical Bahamian style setting and we had fun time listening to a jazz music. After we eat, we went outside for they have an outdoor bar. We saw a guitarist come up on stage and testing his guitar. He was checking his gadgets and put out an affordable Seymour Duncan humbucker set. After few minutes, he signaled to all the band members. Music from the live band started playing and there were couples dancing bare foot just enjoying the music and the sand. It feels like we are in Bahamas. It was really a great night. Would you believe that my personal fitness trainer is Jillian Michaels? Yep, the one and only thoughest trainer in America but, I can only afford the avatar Jillian in the Wii Fitness Ultimatum (wink). I have no time for the gym besides, I am too lazy to get up for gym activity. The Jillian Michaels Fitness Ultimatum is practical, fun and very entertaining way to get fit. Under the avatar Jillian’s expert guidance, I can work out and reach my fitness goal in multiple difficulty levels. 1. As a new recruit at Jillian s boot camp, enroll in her unique training program and be challenged to an ever-changing series of workouts and fitness tests. 2. Choose your workout from four types: Weight Loss, Strength Training, Intervals and Hill Climb. Set the intensity of your exercise routine to suit your pace: Light, Medium or Hard, then dictate workout length: 5, 10, 15, 30, 45 or 60 minutes. 3. Start each workout on the track by running down the Physical Training (PT) course of the training base in a series of judged challenges for up to 3 minutes. Motion-based fitness activities include: running obstacle courses, balance beam, hand car, rowing/paddling, crossing monkey bars, punching bags and much more. 4. Choose your challenge from branching paths to dictate your own activity. 6. Competitive Campfire Mode lets two players race against each other through individual challenges or the entire PT course to see who can burn more calories. 7. Customize your character and input personal data to serve as a benchmark for measuring progress via the Statistics screen that includes: calories burned, weight, in game performance and more. maximizing your workout, gym alternatives, traveling workouts, snacking, eating out, food substitutions and cooking. Facial cleansing is important to keeping our skin fresh, softer, cleaner and radiant looking. A long day with makeup on plus dirt and grime, the need of proper cleansing is a must with the help of an advanced daily cleansing tool. It helps polish away dull skin. The Professional Skin Care System is a perfect tool to gently exfoliate away impurities on our skin. Few weeks ago, I was lucky to receive this product for free and since then, I have been using this 3-in-1 system as part of my daily facial cleansing routine. Indeed, I enjoyed the rejuvenating spa and dermatologist experience right at the comfort of home by using this amazing cleansing tool. This Professional Skin Care System by ToiletTree Products works great because it exfoliates, cleanses and softens my skin in fact, I feel the difference right after my first use. It improves overall skin clarity and appearance. It removes dead skin cells to expose healthier-looking skin. It energizes skin and leaves it sooth, soft and radiant. It cleans deep to help remove stubborn makeup. It enhances absorption of moisturizes. A pumice stone, 2 face brushes or exfoliaters (soft brush for sensitive skin types and a medium brush for normal skin types), and 1 body exfoliater. I used the soft brush on my face. This product is waterproof so; using it while in the shower is pretty safe. The rotating brush gently scrubs away impurities and rejuvenates skin making it soft to the touch. I would recommend this product because it is a great cleansing tool, durable, stylish, waterproof and has a comfortable Ergonomic handle so; it won't slip from the grasp. The shipping is fast and I was so impressed with the packaging. I used the body brush on my hands and body; while the pumice on my foot which truly removes the dead skin. Extending 800 ft over the Atlantic Ocean is the Cocoa Beach Pier which was built in 1962. This place is located in Cocoa Beach, Florida where you can watch and enjoy a perfect sunset and the sunrise. Using the zoom lens of my samsung digital camera, seen above are people paying a $1 entrance fee to access Mai Tiki Bar at the end of the Pier. Cocoa Beach Pier is a perfect place to go fishing and watch the surfers around the area. A perfect 180 degrees of awesome and beautiful natural scenery. Cocoa Beach Pier has restaurants, shops, and live entertainment. I was on the beach taking pictures of Cocoa Beach Pier. If you want to check out this area, you can put this address in your GPS: 401 Meade Ave, Cocoa Beach, FL. When you arrive in the area, you can pay $10 for a parking space in Cocoa Beach Pier parking lot or, park using a meter parking nearby for .25 cents/ 10 minutes. When you have a home project and you want to save money, a DIY is an easy task that you should try. Do-it-yourself activities such as painting and making a patio is fun, interesting, and inspiring if you have the patience and the time to do it. 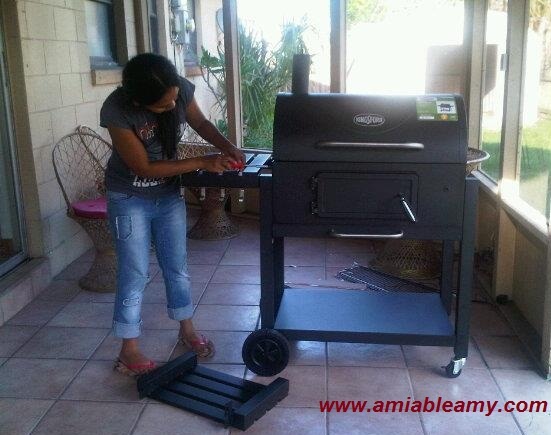 When my husband and I plan to buy an outdoor grill, we were ready to set it up out from the box. 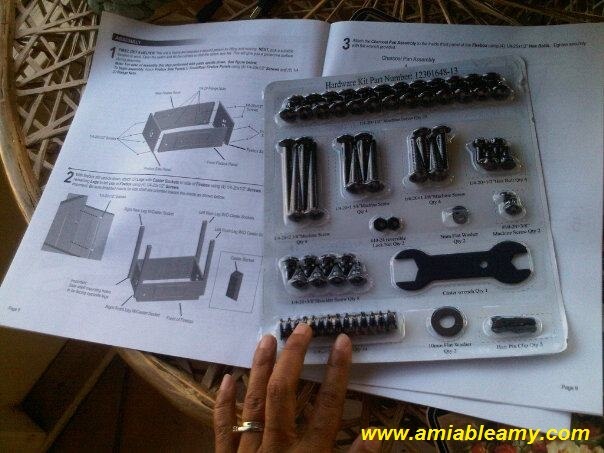 It might look complicated by just looking at the screws and parts but, the guide is self-explanatory and easy to follow. Between me and my husband, he is impatient yet, willing to do the project and interested to learn. Whenever he sees captive knobs, fasteners, and small harware's, he would not volunteer to lead the project. Seeing all the needed materials for a small project is intimidating for him. 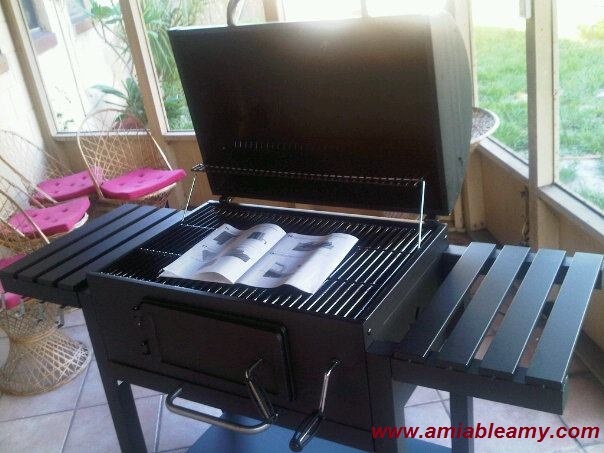 If you plan to buy an outdoor grill from the box, do not feel intimidated. You can make one like this in 4 hours or less. You don't need to be a DIY expert and you don't need high tech tools to set this up. A little patience and enthusiasm is all you need. I'll grind his bones to make my bread"
The other day, I treat my hubby for a movie date and both of us agreed to watch Jack the Giant Slayer on IMAX. It is on 3D so; it costs $23 for two tickets. Jack is portrayed by Nicholas Hoult, a young farmer who leads the expedition to rescue the princess. Eleanor Tomlinson is Isabelle, the princess kidnapped by giants. Ian McShane is King Brahmwell, father of the princess. Bill Nighy and John Kassir as Fallon, the two-headed leader of the giants. My most favorite character of this movie is Elmont played by Ewan McGregor. He is the loyal leader of the king’s elite guard, who helps fight giants. The thrilling episode of the movie started when Jack, drops the magical bean and accidentally opens a gateway to the world of the Giants. They try to reclaim the world they lost centuries ago. Jack is forced to fight the giants to save his life, the princess and those in the kingdom. The movie is interesting and thrilling. I think Jack has all the luck in the world. No fighting skills but, he was really brave and not a selfish character. My favorite part of the movie was when he throw the bean into the mouth of the giant. The most amazing part was when all the giants kneel down to him. You should watch it and please, bring your family with you okay? I give this movie : 4 stars. 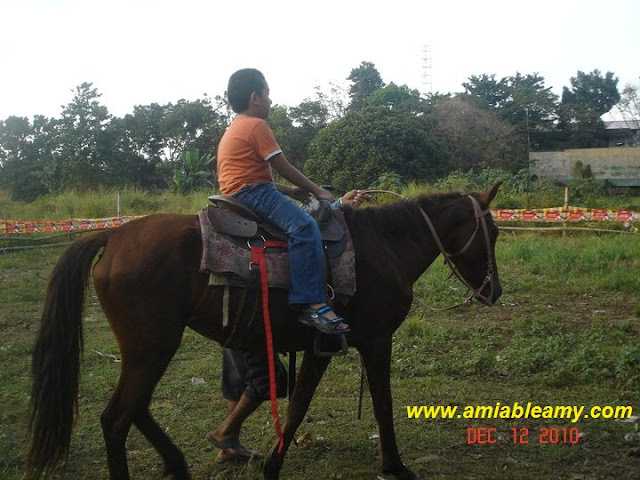 We have horseback riding trails right here in our neighborhood and as we passed by the area many times in a week, my enthusiasm for horseback riding grow stronger every day. It's been two years since I've had my horseback riding activity with my nephews and never did I have one after that fun time with them. 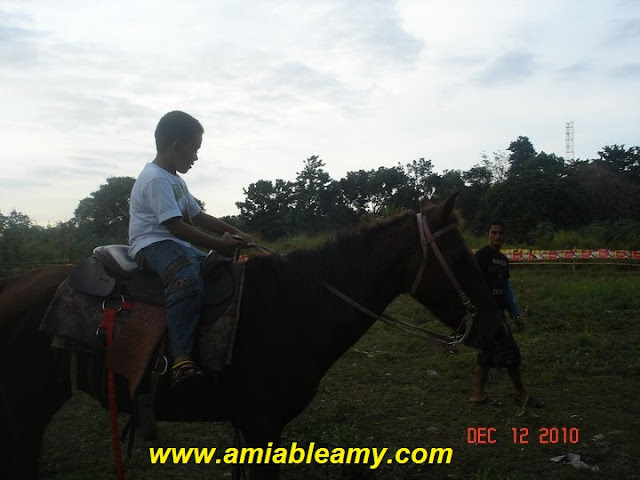 I am not a skilled horseback rider but, if given a chance I would love to horseback ride once in a while. If you are into horses and planning to check out the equestrian riding apparel, you may find riding boots, helmets, gloves and more in this site: www.theequestriancorner.com/. One of these days, I will be posting my latest horseback riding activity and this time, it will be with my husband and friends. Kennedy Space Center is a major tourist destination in Central Florida and just an hour drive from Orlando. It is one of ten major NASA field centers and a launch site of the United States. Since 1968, it has been used for every NASA human space flight. Kennedy Space Center is located on Merritt Island, Florida and would you be amazed if I tell you, we live just 15 minutes away from KSC? Yes we are. All three photos below are exhibit display at the Rocket Garden area. The first area to explore when you visit the Kennedy Space Center / KSC is the Visitor Complex, which has different exhibits, artifacts, displays and attractions on the history and future of human as well as robotic spaceflight. All bus tours of Kennedy Space Center start from this area. It offers public tours of the center and Cape Canaveral Air Force Station. Kennedy Space Center is a big property and is a wildlife sanctuary therefore; Bald Eagles, American alligators, wild boars, Eastern Diamondback rattlesnakes, Florida panthers and Florida manatees are just taking refuge in the area. The complex also includes the separate Apollo/Saturn V Center, north of the VAB and the United States Astronaut Hall of Fame (photo below), six miles west near Titusville. 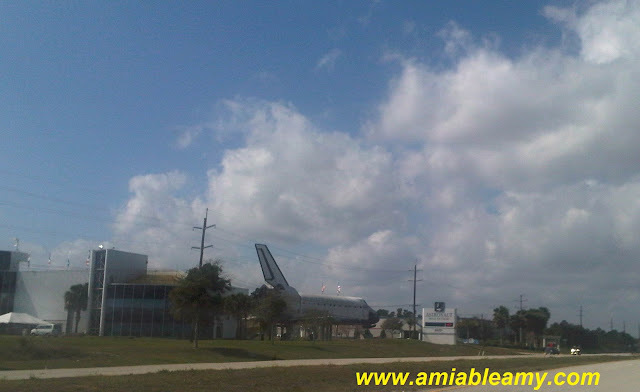 Check out the tag topic below this post to see more photos of Kennedy Space Center. Thanks for stopping by. I will be seeing you in Kennedy Space Center soon right? I have a friend who lives alone in an apartment. She enjoys her privacy and loves her place very much except the powder room along the hallway. The apartment has 2 bedrooms and 2 ½ baths which really is spacious for her considering she has no one to share it with. One time, she had a party and one of our friends clogged the toilet. She just ignores the problem for days and whenever she has guests in the house, she let them use the bathroom in the guest bedroom. It started to stink as she shared to me one time and I told her to get a plumber in Roto-Rooter.com. She had a final exam in school so; she was procrastinating my advice regarding hiring a plumber. One night, she was calling me because the toilet spill out nasty water gradually. She was really panicking! I have a neighbor who volunteered to check it the next day so; he was able to stop the nasty water from coming out. That’s the time she called a plumber. The problem was not complicated at all. Someone throw a cloth and tried to flush the toilet that’s why it clogged up. Even though she told the guest to quit using it, someone must have used it anyway. But then again, she has to blame herself. When the plumber fixed it, she had to hire a cleaning lady to take the nasty smell in the bathroom. It costs her double because she was ignoring the problem in her place. Well, she learned her lesson well and she finally admits that procrastinating hurts her wallet. Plumbing problems should be addressed instantly! It can damage the floors and the electrical connection nearby. It is also health hazard because molds can grow to wet areas. Let the expert plumber fix the plumbing problem. How hard can it be? The moment you see the problem, find a plumber and ask the estimate. For sure it will not cost so much. Today, we went to our favorite spot to watch the launch of the Space X Falcon 9 rocket and its Dragon spacecraft from Space Launch Complex 40 at Cape Canaveral Air Force Station. We wanted to watch it inside Kennedy Space Center or by Cape Canaveral but, we were uncertain which spot has a good view for it. We have less than 15 minutes to decide so; we went to the original plan. It was cloudy but they say its 80 percent favorable. Theres a slight possibility that thick clouds and liftoff winds could prevent launch but, it went well.